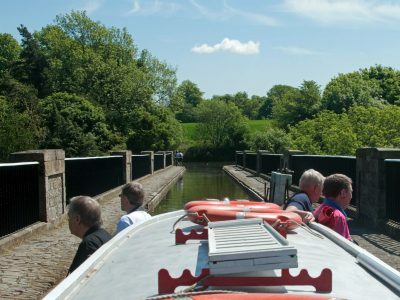 Boat Trips: Town Boat Trips every 30 minutes during opening times and Aqueduct Cruises leaving at 2 pm on Saturdays and Sundays. 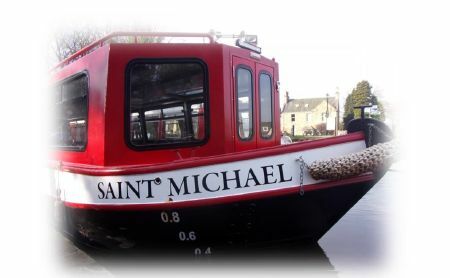 Our new boat – St Michael – is now in service. 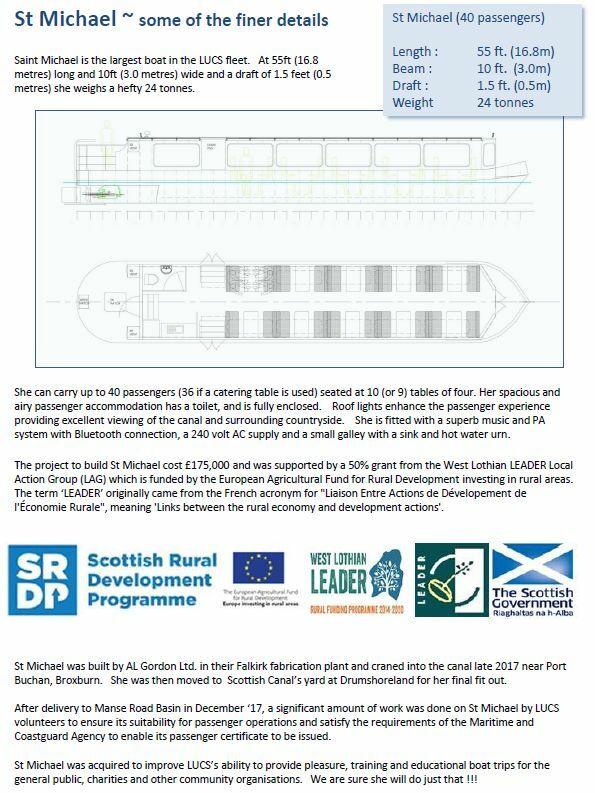 She can carry 40 passengers in her spacious and airy passenger accommodation, providing excellent viewing of the canal and surrounding countryside. 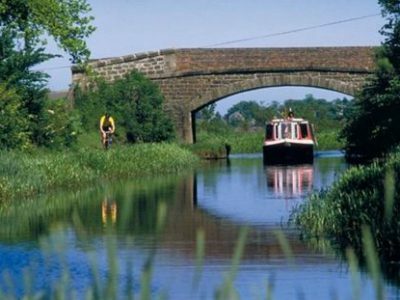 She is fitted with a superb music and PA system and has a small galley. 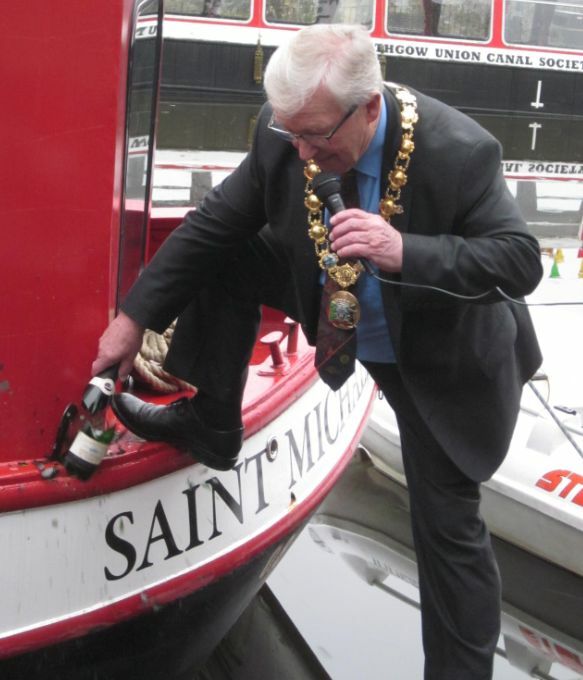 Provost Tom Kerr performed the Naming Ceremony. 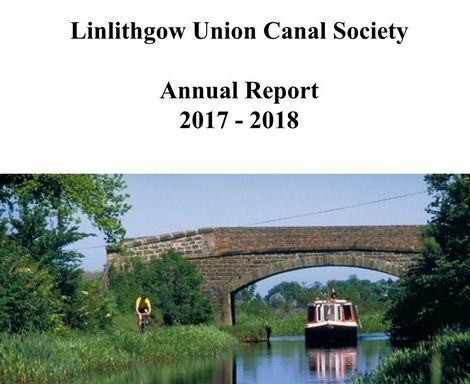 Click here to read the LUCS Annual Report in an online book.